Although 20 percent lower than projected, with revenue of $280 mln, BuzzFeed is still set to end the year with growth. The honeymoon period for Mashable and Buzzfeed looks to be over for online news websites due to the loss of advertising revenues, thanks to Internet giants Google and Facebook. BuzzFeed has given up on going public for now and Mashable is looking for an emergency buyer. Less than two years ago, blog turned news site Mashable was valued at $250 million, with Time Warner among its investors. Today, its value has plummeted by 80 percent, and it’s reportedly about to be sold to Ziff Davis. Meanwhile, revenues that fell short of expectations at BuzzFeed — built on a combination of pop culture and social networks — mean it is no longer expected to go public next year. The website has just announced it is letting go of around 100 of its 1,700 employees. These sites — like others founded in the last 10 years — promised investors huge growth driven by advertising as traditional media battled for survival. But in the space of a few months, the tide has turned — as Google and Facebook’s chokehold on the online advertising market reaches a critical point. In 2017, the two internet giants have snapped up 63 percent of advertising revenue, compared to 58 percent last year, according to market researcher eMarketer. Next year, they are projected to rake in a 67 percent share. In this standoff with the two Californian behemoths, it’s new players who stack up the disadvantages — as two-thirds of their traffic come from social networks and search engines, mostly controlled by Facebook and Google. And “if you’re spending money on creating content, you’re competing with the masters of the internet who spend nothing” on producing content, Mutter explained. But despite the brutal reality, few believe these new media will collapse completely — like the internet bubble of the early 2000s. 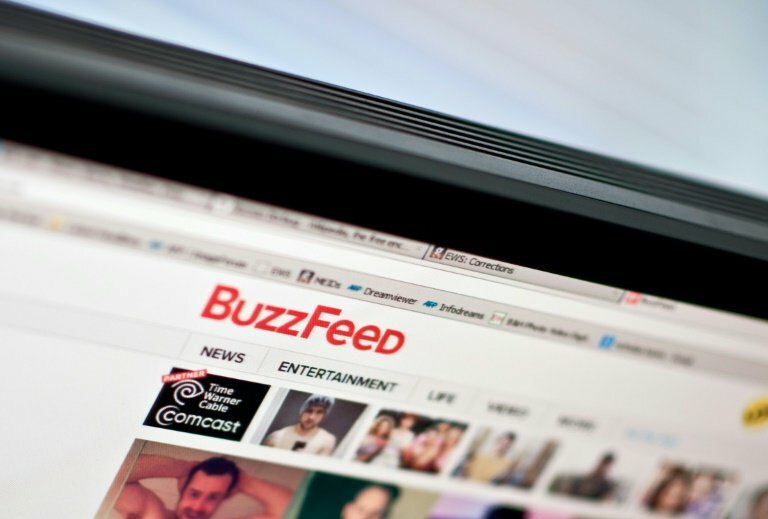 It may be 20 percent lower than projected, but with revenue of $280 million according to U.S. media, BuzzFeed is still set to end the year with growth. “But is it viable to the tune of a billion-dollar exit? That’s tough,” he said. Promised returns on investment and plans to enter the stock market are likely nothing but memories now — except for Vice, the only organization that has reached a viable scale. Without reaching such a size, success requires building an audience around a specialized subject and consequently attracting advertisers — as seen with Politico, Eater and technology site The Verge. But for those starting out today, prospects for success are limited.